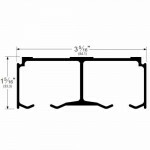 The Henderson H200A 8’ is a Pemko Husky Sliding 200 door kit for sliding wood or metal doors t.. 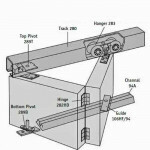 The Henderson HBP200A 8’ is a Pemko Husky Bypass Sliding 200 door kit for bypass sliding doors to 20.. The Henderson H200A 6’ is a Pemko Husky Sliding 200 door kit for sliding wood or metal doors to 200l.. 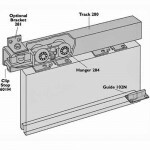 The Henderson HBP200A 6’ is a Pemko Husky Bypass Sliding 200 door kit for bypass sliding doors to 20.. 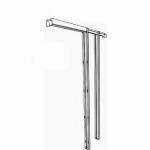 The Henderson HF2 100A 4’ is a Pemko Husky Folding 100 door kit for folding door and room divider to.. The Henderson PF28200A 7280 is a Pemko 3’0” x 6’8” Pocket Frame Kit for 1-3/8” or 1-3/4” pocket door.. The Henderson PF28200A 7284 is a Pemko 3’0” x 7’0” Pocket Frame Kit for 1-3/8” or 1-3/4” pocket door..